They say the truth is stranger than fiction. When you purchase this book, you will hold proof in your hands. A childhood filled with extraordinary experiences, an extended visit to the Center for Rehabilitation of the Over Educated and the challenges of loss and recovery weave together to form a fascinating tapestry of inspiration and encouragement. "In this very inspiring life story of rising from the ashes of young love to find one’s destiny, Thirsting for a Raindrop, takes you on a journey of discovery of faith, love and recovery. 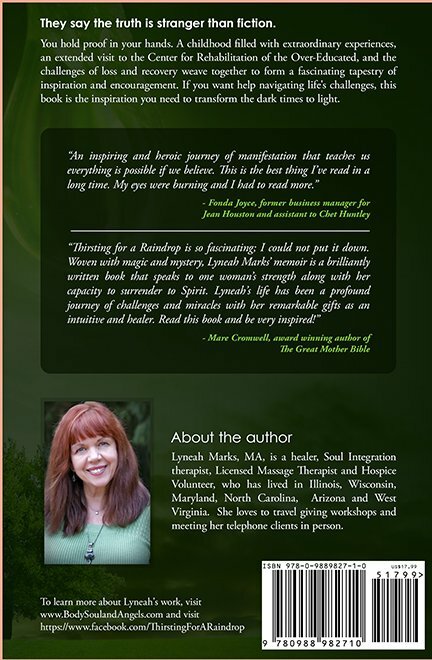 Miraculously, we are drawn into the unfolding of spirituality and the reassurance that we all have a purpose in life, as Ms Marks relates her personal stories of the evolution of her healing and extra-sensory abilities. Her courage to leave a destructive 21-year marriage, as well as the corporate world, for a simpler life devoted to self-discovery and her idea of being of service to others, evokes thought and emotion. It is a wake-up call that we all need to have more faith that when things are going wrong in life it’s usually because we need to change something. Read this book to be inspired and to affirm there is joy to be found when you least expect it, if you allow it to happen and have enough faith. We all have a story to tell and Ms. Marks’ is fascinating!" - Fonda Joyce, former business manager for Jean Houston and assistant to Chet Huntley. 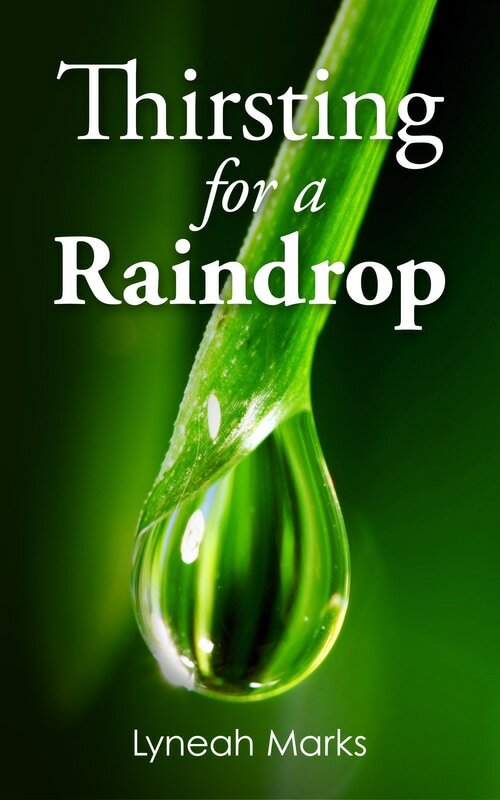 "Lyneah Marks is one of the great blessings in my life and I was very excited when she asked me to do a basic edit of her book, "Thirsting for a Raindrop". As I was reading, I became so engrossed in the story that I was not paying attention to the edits required. This book is very compelling. It draws you in and makes you feel part of the story. I read quickly and I read slowly, trying to reach the end of her journey yet trying to make the experience last. I recommend this book to anyone who wants to laugh, cry, and get goose bumps of amazement."